The 2017 award goes to Joni Lovenduski, Anniversary Professor of Politics at Birkbeck, University of London. Joni has been a visiting scholar at universities across Europe and the United States. 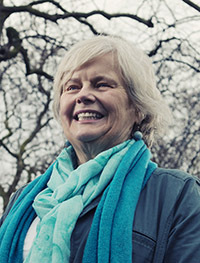 She has won the Isaiah Berlin Prize of the UK PSA, and is a Fellow of the British Academy. A former vice chair of the ECPR’s Executive Committee, Joni Lovenduski has also served on the ESRC Research Grants Committee and the Research Council of European University Institute. She has provided advice on enhancing the role of women in decision-making to the European Commission, and to the Council of Europe. Joni founded what is now the ECPR Standing Group on Gender and Politics. In 2009, she was the co-recipient, with Joyce Outshoorn, of that Group's Career Achievement Award. Joni has played a key role in defining and developing the field of gender and politics, through many important publications, but also by founding and strengthening organisations, and by representing the field in the wider political and public community. Spanning more than thirty years, her pioneering research on the political representation of women, the selection of female candidates for elected office and the roles of women in political parties, has contributed new empirical data and advanced new conceptual frameworks, challenging the gender-blind assumptions of contemporary political science. Her research has also reached beyond the academy, influencing the recruitment strategies of political parties and highlighting the role of, and challenges facing, women in politics. Joni Lovenduski has become one of the leading figureheads of gender and politics study in Europe. She is a source of inspiration, advice and support to many younger female scholars. The Jury for the 2013 ECPR Lifetime Achievement Award met in March 2013 during the Joint Sessions of Workshops in Mainz, Germany, and awarded the 2013 prize to Professor Ian Budge of the University of Essex, who has enjoyed an outstanding political science career. He was a founding member of the Manifesto Research Group, which became the source of major monographs and an award-winning data set, and influenced the work of a wide range of political science scholars. Professor Budge played an important role in strengthening the field of European political science through his involvement in the ECPR, in particular as Executive Director between 1979 and 1983, and through his important contribution to the training of young political scientists, as Director of the Summer Schools in Social Science Data Analysis. Throughout his teaching career, Professor Budge proved himself deeply committed to the development of comparative politics, as Chair at the European University Institute in Florence, and at his home institution, the University of Essex, where he has been Chair of Department, Director of Graduate Studies and principal advisor to PhD students. 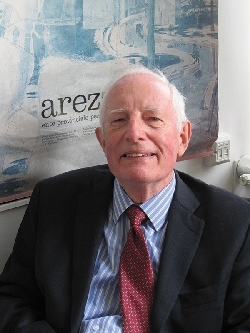 The jury for the Lifetime Achievement Award concluded that Professor Budge has made an exceptional contribution to European political science over several decades through international research projects, monographs and scholarly production, and institutional service to the development and growth of the discipline. The award was made at the ECPR’s General Conference in Glasgow, 26-29 August 2014. ECPR offers Ian Budge its warmest congratulations on a splendid and well deserved achievement! The 2011 Lifetime achievement award went to Hans-Dieter Klingemann of the Freie Universität Berlin. During his career Hans-Dieter Klingemann has been Director of Research on Institutions and Social Change at the Social Science Research Centre Berlin (WZB); a Visiting Scholar in Paris, Canberra, California and Michigan; a member of various distinguished scientific boards and committees; Vice President of the Council of the Institute for Strengthening Democracy in Bosnia, Sarajevo; member of the International Advisory Board of the Encyclopaedia of Democratic Thought; and a member of the TMR Network "Representation in Europe". He was also President of the European Political Science Network (epsNet) and a member of the Executive Committee of the ECPR. The Jury, in its Motivation, referred to various highlights of an outstanding career in political science, including Professor Dieter-Klingemann’s important role in the building of European political science through his involvement in the ECPR; the major role he played in integrating the east and west of Europe through several important projects and actions in international organisations; his work with key individuals in east and west Europe in developing a series of election studies in the new democracies and in comparative terms; his activities in developing the political science curriculum through the Bologna Process and his role in creating the European Political Science Network (epsNet); his role in developing party manifesto research in the new democracies; and his many path-breaking research projects e.g. transitions to democracy; social and political values; voters, party systems and elections; the programmatic profiles of political parties; elections in former communist countries; teaching political science and its emergence in central and eastern Europe. The Jury also noted, amongst his many publications, his co-editorship of two major Handbooks, one on Political Science (co-edited with Robert Goodin) and one on Political Behaviour (co-edited with Russell Dalton). Overall, the Jury concluded that Professor Klingemann has made an outstanding contribution to European Political Science over several decades through his international research projects, his activities in international research organisations and his own scholarly production, and it drew attention in particular to Professor Klingemann’s commitment and action to the development and integration of political science in central and eastern Europe. The award was made at the ECPR’s General Conference at Reykjavik, 25-27 August 2011. Gerhard Lehmbruch was awarded the 2009 ECPR Lifetime Achievement Award during the 5th ECPR General Conference at the University of Potsdam in September 2009 for his outstanding contribution to European Political Science. His research focused on institutions, political regulation and comparative politics, including his studies on “negotiated democracy” and structural incongruence between federal state polities and party competition (‘Strukturbruchthese’). In 2003, the German Political Science Association honoured him with the Theodor-Eschenburg-Prize for his lifetime achievements. Philippe Schmitter was awarded the 2007 ECPR Lifetime Achievement Award during the 4th ECPR General Conference at the University of Pisa in September 2007 for his outstanding contribution to European Political Science. Philippe Schmitter studied at the Graduate Institute for International Studies of the University of Geneva and subsequently took his doctorate at the University of California at Berkeley. In 1967 he was appointed as assistant professor by the Department of Political Science of the University of Chicago, where he later became full professor. Between 1986 and 1996 he taught at the European University Institute (1982-86), then moved to Stanford (1986-96). He taught again at the EUI until 2004 and was thereafter nominated Professorial Fellow of the Department of Social and Political Sciences of that Institute. He has published numerous books and articles on comparative politics, on regional integration in Western Europe and Latin America, on the transition from authoritarian rule in Southern Europe and Latin America, and on the intermediation of class, sectoral and professional interests. The prize was awarded for the first time during the Budapest General Conference in September 2005 to Giovanni Sartori on the grounds of his substantive and organisational contribution to European Political Science over a long career. Particular mention was made of the application of his theory of parties to the study of European party systems and his founding of the Rivista Italiana di Scienza Politica. Born in Florence in 1924, Giovanni Sartori graduated in Political and Social Sciences at the University of Florence in 1946 where, after qualifying for teaching History of Modern Philosophy and Doctrine of the State, he became lecturer of Modern Philosophy (1950-56) and Political Science (1956-63), and professor of Sociology (1963-66). After becoming full professor of Political Science and teaching at Florence University from 1966 to 1976 he taught also at the European University Institute (1974-76) and later became professor of Political Science at Stanford University (1976-79). Professor Sartori is currently Albert Schweitzer Professor Emeritus in the Humanities at Columbia University, New York (since 1994), and Professor Emeritus at the University of Florence (since 1992). After having given a vital contribution to the development of the "Rassegna Italiana di Sociologia", Professor Sartori was the founder and long time director of the "Rivista Italiana di Scienza Politica" (1971-2003).